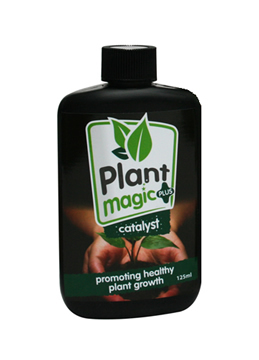 Plant Magic Catalyst is a 100% organic seaweed extract, and will aid you to grow stronger, healthier plants & fruit. 100% organic seaweed extract containing natural growth stimulants. Increases protein and carb production and stimulates root development and top end growth. Catalyst is created using a water extraction process, rather than chemical or high temperature extraction. The resulting product is purer and slightly acidic, vastly increasing the speed of uptake. Use during the vegetative stage.